Home » CELEBS on FDM » GIGI gives us the BOOT! GIGI gives us the BOOT! Catching up: Continuing the GIGI HADID craze, Stuart Weitzman has collaborated with Gigi on the Gigi boot. The ‘social supermodel’ gave a little design input in the making of the hiker-inspired high heel combat bootie. 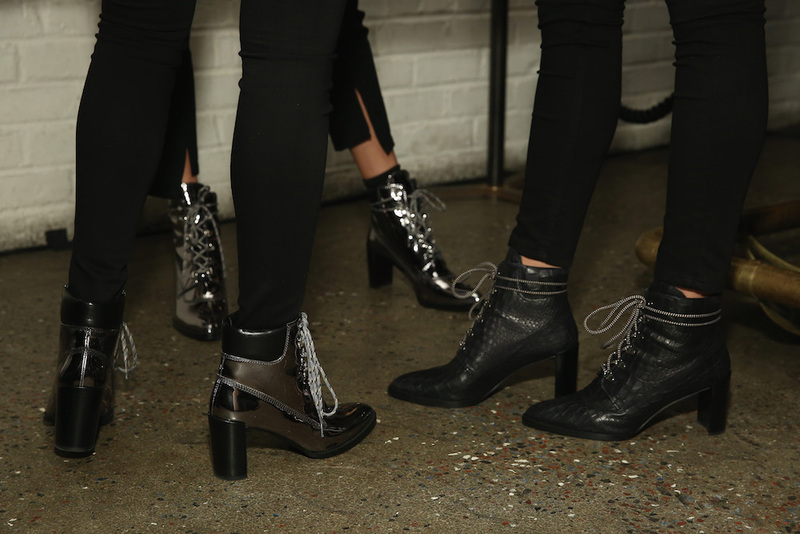 The hot walkable boot has metallic eyelets and comes in 3 materials- 2 of which have a shine, of course! Launching earlier this week in NYC, friends including Devon Windsor came out to celebrate Hadid x Weitzman launch. Keeping it cool, a short film directed by James Franco featuring Gigi, the face of the Stuart Weitzman fall 2016 campaign. The #DoItRight short is shot at Brooklyn’s iconic Gleason’s Gym featuring Gigi as the energetic “champ” of course in her little booties. GIGI gives us the BOOT! commentary by Brigitte Segura.